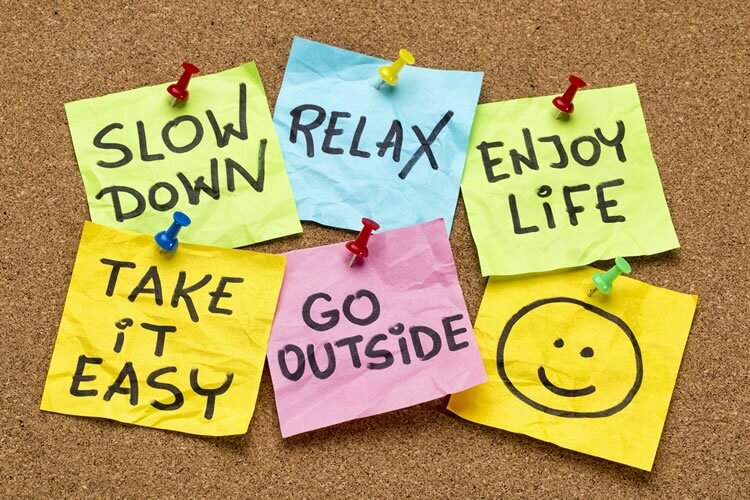 It is impossible to experience work life balance without stress management. Stress is unavoidable. If we do not handle it well it can cause lasting physical and psychological damage. On the other hand, managing stress can combat its negative effects. Fortunately, stress management is not too complicated; anyone can learn how to manage stress. Why not join one of our Time Management classes offered in Chicago and Los Angeles? To register for a fun and informative day, call us on 888.815.0604. Choose an exercise you enjoy: You will not repeat an activity that you hate doing. Start slowly: If you over do it, you will simply become tired and discouraged. Schedule it: Exercise must be a priority or you will never get to it. Also read How stress can affect your health . Avoid sugar and caffeine: Their highs may give you more energy, but once you crash, you are left more exhausted than before. Focus on nutrition: Be sure to include whole grains, lean protein, and leafy green in your diet. Eat frequently: Increase your focus by eating small healthy snacks throughout the day. This will balance blood sugar and increase energy. Many people are sleep deprived. Experts recommend sleeping between seven and nine hours a night. Sleep deprivation increases stress, weakens the immune system, and raises the risk of having an accident. Given the important role that sleeps plays in physical and mental health, it only makes sense to do everything in your power to improve sleep. Avoid electronics before bed: Studies show that the light of the television, phone, or computer may make falling asleep difficult. Relax: Unwind with a relaxing routine before bed. Exercise: Exercise will make it easier to fall asleep. Have a bedtime: A regular bedtime will train your body’s internal clock and help you fall asleep. Read about the importance of a healthy work life balance. We are not always aware of how much stress is affecting our lives. It is possible to believe that you are effectively managing your stress when, in reality, stress is managing you. This is why it is important to step back and assess your stress level. The results of the assessment will reveal any changes that you need to make in order to improve your stress management. You can use the results of the assessment to make the necessary changes to your diet, exercise, and sleep routines. Through our network of local trainers we deliver onsite effective Time Management right across the country. Obtain a quote for an onsite Time Management class. See what are past students are saying: Time Management student testimonials.